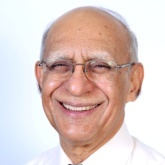 Ashok Soota, Executive Chairman, Happiest Minds, a next generation IT Services company, is widely recognized as one of the pioneering leaders of the Indian IT industry. Prior to founding Happiest Minds in August 2011, Ashok led the growth of Wipro’s IT business from US$ 2 million to US$ 500 million run-rate. Subsequently, he was founding Chairman & MD of Mindtree and led it through a very successful IPO. His second entrepreneurial venture, Happiest Minds has already established several benchmarks in the IT Services industry in India and is on course to achieve its goal of being the fastest to achieve US$ 100 million revenue. 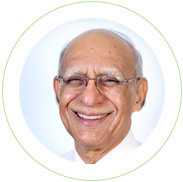 Ashok began his career in 1965 with the Shriram Group of Industries in India. In 1978, he became CEO of Shriram Refrigeration, a company which was unprofitable for four straight years. Ashok facilitated a complete turnaround, making it profitable in his very first year and taking it to a position of leadership in each of its product lines. Ashok is a leader of industry. He was President of Confederation of Indian Industry (CII), India’s largest Industry association and also President of Manufacturers’ Association of Information Technology. He has served on the Prime Minister’s Task Force for IT and on the Advisory Council for the World Intellectual Property Organization, Geneva. For his contributions to India’s IT industry, he has been recognized twice as IT Man of the Year, also as Electronics Man of the Year, and recognized at Infocom 2013, Kolkata, as one of the 12 Gems who helped to build Indian IT Industry. The companies he has led have created about 25,000 jobs during his leadership tenure. Ashok’s philanthropic contributions are channeled through Ashirvadam, a Trust he has created for Environmental Protection and help for the needy including vocational training, education and medical assistance. 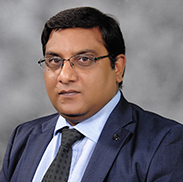 Ashok holds a Bachelor of Engineering degree from Roorkee University (now IIT, Roorkee) and an MBA from the Asian Institute of Management, Philippines. He is a Fellow of INAE. Ashok’s hobbies include trekking, the outdoors, yoga, taichi and meditation. Joseph has over 19 years of professional experience spanning multiple industries including technology, banking and manufacturing – of which 14 years were spent in software product engineering services working with a wide range of software product companies. He has developed a deep understanding of delivering software products in a distributed mode and uses this experience to advise and guide customers on their outsourcing strategy. Prior to Happiest Minds, Joseph held P&L responsibility for a critical business unit (Microsoft Strategic Business Unit) in Mindtree, which contributed 8% of the company’s revenues. In this role, Joseph was responsible for drafting and implementing a strategy that doubled revenues and established Mindtree as the leader in the Cloud and Testing space. Before taking on the above P&L responsibility, Joseph played the role of Sales Head and Director – Business Development with Aztecsoft (which was acquired by Mindtree), establishing a relationship with Microsoft and rapidly scaling it into a multi-million dollar account. He was also responsible for winning several large deals during a very critical phase of the company. During his 11 years with the company, Joseph was also involved with Marketing, Account Management and several strategic initiatives. 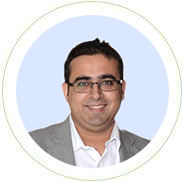 Joseph holds a Bachelor of Engineering degree from BITS Pilani and PGDM from IIM Ahmedabad. 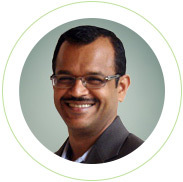 Salil has 20 years of experience in the IT industry across global Product and Services companies. His breadth of functional experience include P&L Ownership, Marketing, Vertical Markets Development, Product Management, M&A and Alliances. He has extensive work experience in new business incubation or growth engines from identification to operations. Prior to Happiest Minds, Salil was with Mindtree for 4 years as the Chief Strategy Officer/M&A and held P&L responsibility of an Industry group. Before Mindtree, Salil gained 12 years’ experience in the United States working for various software product companies large as well as start-ups. His accomplishments include growing a new product to $30 million in revenue, successful market positioning of multiple products, handling global marketing for a $300 million business and multiple M&As. Salil has a Bachelor’s degree in Industrial engineering from IIT, Roorkee, and is a Masters in Manufacturing Engineering from Boston University. 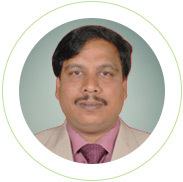 Ram Mohan C has 30 years of experience in Infrastructure Management and Tech Support. He has been in senior management positions for the last 20 years. Prior to Happiest Minds, Ram was EVP and Global Head of IMS, Enterprise Integration, Mainframe services business at Mindtree Ltd. These businesses constituted $250m+ which is one third of Mindtree’s business. He was also the CISO for Mindtree and responsible for Automation Initiative across the organization. 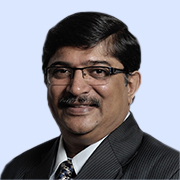 Prior to Mindtree, he was EVP (operations) of e4e. He was founder and COO of Vinciti Networks, a specialized service provider in Infrastructure Management and Tech Support which he ran successfully for 5 years and built a 1200 strong team, before rolling up to the holding company. Ram has also had substantial stints with Wipro and MPACT Immedia. Ram is a winner of the coveted Chairman’s award in Mindtree and is a CSO 100 award winner. He is a distinguished speaker in many Infrastructure and Support forums and seminars. He has also taught MBA (IT) students of Symbiosis. Ram has Bachelor of Electronics Engineering degree from Bangalore University. 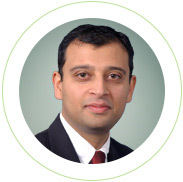 Venkat is a thorough finance professional with 20+ years of rich and diverse experience with a keen eye for business. 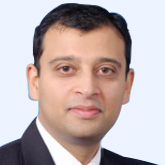 Venkat hails from a family of Chartered Accountants. He started his career as a Consultant with Arthur Andersen advising and assisting foreign companies setting up operations in India. While assisting SAP establish its Indian operations he moved into the IT Industry. 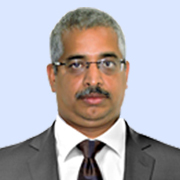 Since then Venkat has been CFO of multiple services companies in the outsourcing and off-shoring services business. 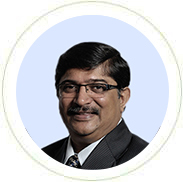 His past experience spans across being CFO of Team Lease – India’s largest Temp Staffing Company, CFO of Sonata Software Limited where he was instrumental and part of one of the best turnaround stories in the recent past, CFO of Perot Systems, Director of Operations at Oracle, and being the first Head of Finance at MindTree Limited. Venkat is a Chartered Accountant and is known in the Industry for his thought leadership on issues around taxation and related issues faced by the services industry in India. Nanda has 21 years of in-depth global experience in software and enterprise product development having worked with Mindtree, Aztecsoft and IBM in various senior leadership roles. Nanda has led and managed global practices, product development, support and professional services leveraging geographically distributed teams. Prior to Happiest Minds, Nanda played multiple leadership roles at Aztecsoft (now a part of Mindtree). During his 11 years with the company, he was instrumental in winning many multi-million-dollar deals, running independent P&L units, and in establishing the Product Engineering Practice. During his tenure, he also helped Mindtree establish a thought leadership position in the Offshore Product Engineering segment. Before joining MindtreeAztecsoft, Nanda was leading an engineering team at IBM. Nanda distinguishes himself in building and sustaining strong customer loyalties. He has an excellent track record of aggressively building, developing and executing strategic vision for business growth. His core strength lies in creating and managing globally distributed engineering teams and practices. He is responsible for all engineering, technology management, and operational activities of the PES business at Happiest Minds. Nanda holds a postgraduate degree in Computer Applications from University of Hyderabad and a Bachelor’s degree in Mathematics from Utkal University. 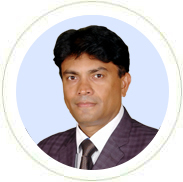 Raja has 18 years’ experience in Quality Management, Project Management, Software Engineering processes, Change Management, Metrics and Analytics and Value Engineering. He has been a core member of the quality team in Infosys, one of the largest IT firms in India. In his most recent role, Raja was responsible for organizational delivery performance and engineering capability improvement. 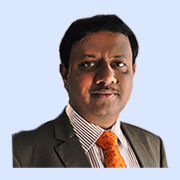 He has extensive experience in leading quality initiatives across the organization. Raja holds an M.Tech Degree from BITS Pilani. 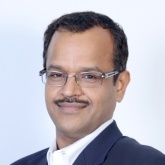 Sandeep Agarwal has 23+ years of industry experience covering a broad portfolio in across diverse sectors such as Industrial, Consumer Electronics, Digital Enterprise, Telecom Communications, Enterprise Networking, Embedded Technologies and Data Center Domains. At Happiest Minds, Sandeep built the ER&D business acquiring some major and marque customers in Networking, Industrial, Semi and Embedded Technologies. Sandeep helped incubate the IoT focus and forged solid partnerships with Intel, Microsoft, PTC and many other companies to provide end-to-end solutions and system integration services to Happiest Minds’ customers. 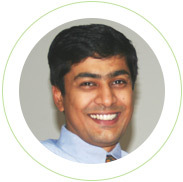 As part of the Executive Board, Sandeep supports various major and minor initiatives at the company level. Sandeep also actively participates in the ER&D council at IESA and NASSCOM apart from actively partaking in the start-up eco-system. Prior to joining Happiest Minds, Sandeep was with MindTree for 12+ years and was part of the core team that was instrumental in growing MindTree’s Product Engineering Services business in the global market. He played a key role in establishing successful multi-year relationships with a host of Fortune500 companies. 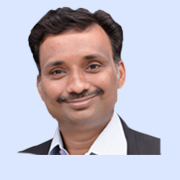 Sandeep was also a recipient of MindTree’s prestigious Chairman’s award and Citizen’s award and headed the PM Council at MindTree for the year 2007-2008. Sandeep started his career with Tata Unisys in Mumbai, and then moved onto working with Lucent Technologies Bell labs as part of their 3GPP/UMTS initiatives in the late nineties. 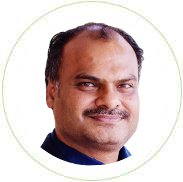 Sandeep is a regular speaker at international and domestic industry events and outside of work he is a core member of Words of Peace, Global non-profit organization to support and spread message of peace promoted by its founder Mr. Prem Rawat. Sandeep Agarwal holds Bachelor of Electronics Engineering degree with distinction from Shivaji University, Maharashtra and also completed the Advanced Computing Diploma from CDAC Pune. 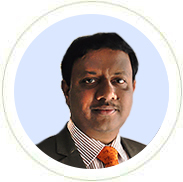 Sridhar has over 25 years of experience in diverse technology management roles. 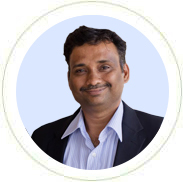 As Chief Technology Officer, Sridhar is responsible for leading Industry domains, technical advisory services and solution accelerator initiatives at Happiest Minds. He is a technologist with hands-on experience in conceptualizing, designing, building & launching products for various startups to industry leaders. 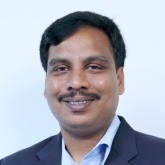 Before joining Happiest Minds, Sridhar was CTO at Mindtree, Product Engineering Services and responsible for setting technology direction, incubating emerging technologies, leading horizontal technology practices and IP initiatives. Sridhar held multiple senior roles in both product and services organizations like Aztecsoft, Tektronix & Tata Elxsi both in India & US. Sridhar has a Master of Engineering degree in Computer Science from Indian Institute of Science (IISc) and a Bachelor of Engineering from Andhra University in India. 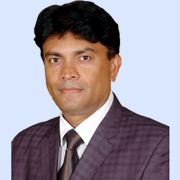 Ajay Agrawal has 22 plus years of experience in the Technology Industry. As a Senior Vice President at the Analytics Centre of Excellence, he spearheads this group for leadership around Artificial Intelligence, Data Science, Big Data and Data Engineering among other innovations. As a serial entrepreneur Ajay has been instrumental in building world-class products and companies in the high-tech space. He led multiple start-ups from incubation to successful exits by building high-caliber teams, adapting to dynamic market conditions and demonstrating keen understanding of customer and market needs. His Silicon Valley based start-ups were funded by likes of Intel Capital and Philips. His most recent venture Cupola Technology an IoT Engineering Company was acquired by Happiest Minds in May 2017. 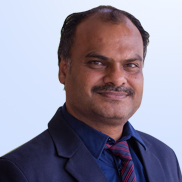 On the Technology front Ajay is experienced in building world class products and solutions for emerging areas such as IoT, Analytics, Connected ecosystem, Cloud, Video, Networking etc. He has managed large cross-functional teams for successful delivery and deployment of global award-winning products. Ajay holds a Masters of Engineering degree (E&C) from BITS Pilani, Rajasthan and is a speaker at various Industry forums. 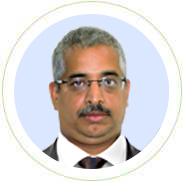 Ganapathi T.B as Chief Operating Officer & Sr. Vice President of IMSS business unit oversees the key functions of Global Delivery, Practice and Solutions, Business Finance, Operational Excellence and other enabling functions. He drives and oversees the continuous renewal of key business operational parameters. He brings in over 23 years of global diversified experience in the IT industry. Before joining Happiest Minds, Ganapathi spent more than a decade at Wipro where he handled multiple roles. In his last role as Solution Delivery and Operations Head he was responsible for implementation of Enterprise Security Solutions and managing Enterprise Security Services business operations. He also served as client engagement and technical manager for large accounts. In his onsite stint, he served as large account and presales manager driving revenue, growth and operational efficiency. Ganapathi distinguishes himself in building and sustaining a strong leadership team there by enabling more customer loyalties through execution rigor and operational efficiency. He has a good track record of building, developing and executing operational strategies for business growth. He has a bachelor’s degree in Computer Science from Mysore university. 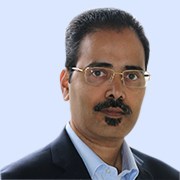 With over 20 years of Industry experience, Rajiv has expertise in developing and leading large global delivery teams to maximize long term development & support of business with a consistent record of success. 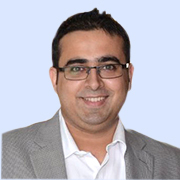 Prior to joining Happiest Minds, Rajiv was heading CSC’s Digital Applications Business for Asia, Middle East and Africa (AMEA); where he was instrumental in setting up new delivery centers and driving modernization services. Rajiv’s expertise lies in advising clients and articulating business scenarios with insightful knowledge of technology deployment and process improvements. He is quite adept in working with customers in defining strategic objectives of transformation in Airline and Retail domains; in addition to having extensive experience in US Freight & Logistics. 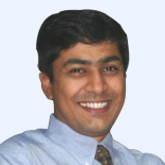 Rajiv holds a Bachelor’s degree in Technology (Computer Science & Systems) from Andhra University and an Executive MBA from IIM, Calcutta. 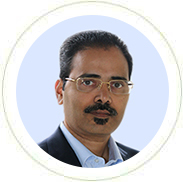 Vijay Bharti is the Chief Information Security Officer (CISO) and Vice President of Cyber Security practice at Happiest Minds Technologies. He brings in more than 20 years of experience in the area of IT Security across multiple domains like Identity and Access Management, Data Security, Cloud Security and Infrastructure Security. His recent work includes building Security Operation Center frameworks (including people, processes and various SIEM technologies) where he is working on building an integrated view of security and ways of leveraging advance analytics and big data innovations for cyber security. A people oriented leader, Sachin has a proven record of creating, nurturing and executing industry leading people management practices; building an highly motivated and empowering work culture and unwavering organizational growth. All through his journey, he’s believed that the best kind of success stems from teamwork, collaboration and the trust people put in one another. Prior to taking on the Chief People Officer’s role at Happiest Minds, Sachin was heading the people function at OSSCube – a global leader in digital transformation solutions which has been consistently ranked among the Top 10 Great Places to Work in India in various studies. OSSCube was acquired by Happiest Minds in the mid of 2017. 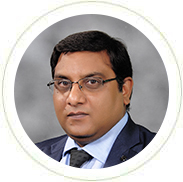 Sachin previously served in HR leadership and managerial positions at Lodha Group and Citigroup Global Services. Sachin is an alumnus of Delhi School of Economics, University of Delhi, where he did his MBA in HR and he also hold a bachelor’s degree in management. Sachin is certified as a Society for Human Resource Management – Senior Certified Professional (SHRM-SCP) and an international certified user for Thomas International Behavioral Instruments (Thomas PPA). 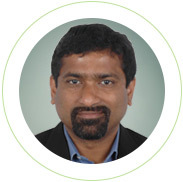 Sajith has over 23 years of experience in diverse technology and management roles. Sajith has varied experience in the IT field, he has handled multiple roles from supporting IT to developing applications to building large teams to deliver IT initiatives for large enterprise accounts. 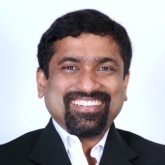 Prior to joining Happiest Minds, Sajith worked with MindTree on multiple roles\initiatives as a pre-sales head for an industry group and Microsoft Technologies, head of L&D for Infrastructure Management & Technology Services group and also as a DM\PM, Architect and lead on multiple projects. Sajith has also worked with Wipro in the infrastructure and networking group, and also as an Application Developer. Sajith is an Engineering Graduate from BMS College of Engineering, Bangalore. 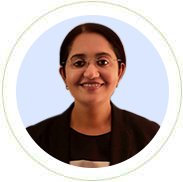 With over 22 years of experience in the technology industry space, Preeti comes with lots of experience in leading large teams delivering multi-million dollar projects. Her expertise lies in managing end to end delivery of Products for IDCs as well as Projects for ISVs. She is currently serving as the Global Delivery Head for the Product Engineering Services (PES) Business Unit. Before joining Happiest Minds, Preeti was Technical Director at AOL India handling their rich media products that included Winamp, Shoutcast, AOL Video amongst others. Prior, to AOL India, she was part of Symphony Services and was instrumental in setting up their Performance, Scalability and Reliability Engineering team for Seibel. Preeti holds a Bachelor’s degree in Physics from St. Xavier’s College, Bombay, GNIIT from Bombay and has also done her Accelerated Management Program from ISB. 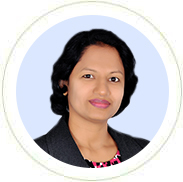 Priya Kanduri brings in more than 18 years of experience in IT security with domain expertise across Cyber Risk & Analytics, Data privacy & protection, Access Governance, Risk & compliance. She is currently serving as the Head of innovation & security technology practices at Happiest Minds. 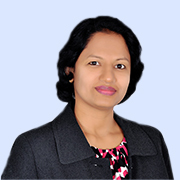 Priya focuses on the next generation solution development & managed service platforms for IMSS. Her key focus is on cyber security solutions for the new age digital enterprises – ensuring security and agility of their current and future needs. 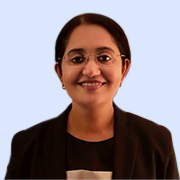 Before joining Happiest Minds Priya worked with the enterprise security services division of Wipro technologies for over 12 years delivering large compliance and cyber security programs to Fortune 500 companies across UK and Europe regions. Sharon is the Happiness Evangelist at Happiest Minds Technologies. Her unique skill sets are the key to drive the Happiness Agenda across the organization. Built on the mission to create ‘Happiest People . Happiest Customers’, Happiest Minds believes that happiness enabling practices must be built on strong conceptual frameworks and that happiness and mindfulness enabling strategies must filter throughout the organization across its business operations. Her role is to distill the tenets of happiness into organizational practices; synthesize the vast body of knowledge on Happiness and disseminate within the company, assess the effectiveness of the people practices through happiness quotients and drive improvements; and assimilate the culture of the organization that is built on the key values of Sharing, Mindful, Integrity, Learning, Excellence and Social Responsibility (SMILES). These values are an integral part of the organizational fabric and form the foundation of long-term relationships and lasting partnerships amongst the key stakeholders. 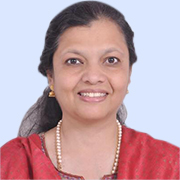 She has been with Happiest Minds since its inception in Aug 2011.Prior to Happiest Minds, she has been with Corporate for 6 years and moved into Academics, where she has been a Professor for 10 years with Christ University Institute of Management and for 4 years with Bharathidasan Institute of Management, Tiruchirapalli as Professor and PGP Chairperson. 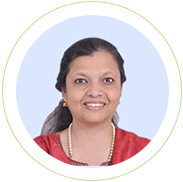 Sharon has hosted and participated in various workshops and seminars throughout the country.She holds a PhD in the area of Servant-Leadership, an MPhil in Entrepreneurship and an MBA from Bharathidasan Institute of Management, Tiruchirapalli. Sharon’s interests are in mentoring, counselling and recently, painting.